Photography by Seattle’s Prosthodontist Dr. Alexander Shor is on the cover of the Journal of Prosthetic Dentistry. 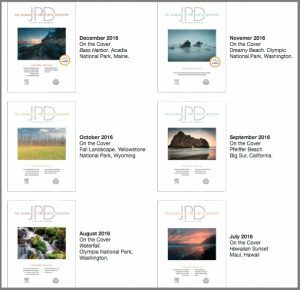 Second time over the past several years Dr. Alexander Shor’s landscape photography is on the cover of the Journal of Prosthetic Dentistry. Journal of Prosthetic Dentistry is a premier scientific and peer review journal which focuses on the subject of prosthodontics. For a number of years journal published photography by dental community on its cover pages. Dr. Alexander Shor’s six landscape images were chosen by the editorial board of the journal to be published in 2016. One of Dr. Shor’s passion is landscape photography. When time allows he travels to interesting places to capture beauty of the natural landscape.